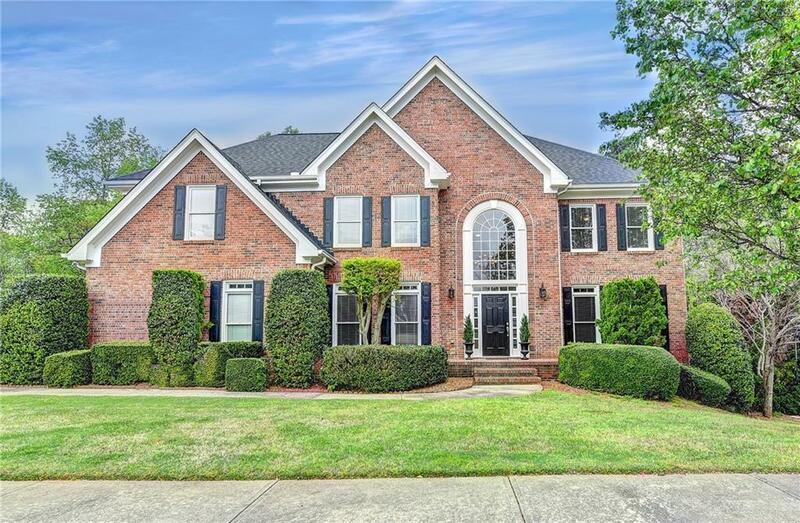 Just listed this amazing renovation in Alpharetta's Park Brooke sought after swim/tennis community! So perfect and move in ready this home features a huge granite island, open floor plan, gleaming hardwood floors throughout main level, bedroom and full bath on the main, three car garage, flat driveway, full finished daylight basement, four bedrooms upstairs each with own bath. The master suite has his and her closets, granite counters, large soaking tub and seamless shower. This home is large and has it all! Just 2.5 miles from Avalon and GA 400. Directions: Ga 400 To East On Old Milton Pkwy, Exit 10. Rt On Southbridge Pkwy Into Park Brooke Subdivision And Rt On Park Brooke Trace.